Applications are the foundation on which organizations maintain their revenue streams. Firms must continuously change their application strategy in order to differentiate themselves in the digital economy. All applications’ abilities are driven by data, and their ability to scale and adapt to changing business requirements is dependent on the database management system. Therefore, a flexible OS is required. Some companies find that Linux offers that flexibility and integrates well with Microsoft SQL, allowing for proper database management. 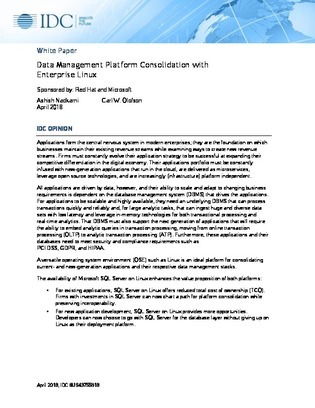 Read this report and decide if Linux is the right OS to store your organization’s database on.